This scribble was published on Friday, January 17th, 2014. You can follow any banter on this scribble with the RSS 2.0 feed. You can share your inspired musings after typing the anti spam word near the bottom of the page. But no Pinging because its too naughty. It is like they stuck an American elevator control panel in a UK lift. 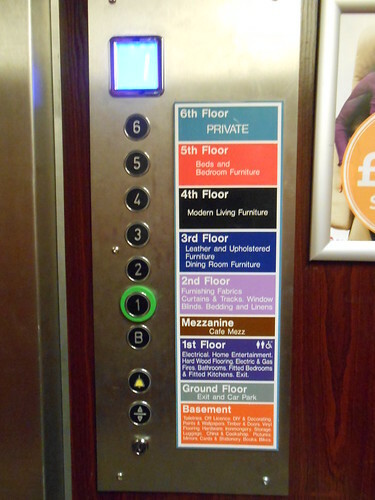 The least they could have done is have used a Sharpie marker to draw lines to show which button gets you to which floor! So…. which button did you have to press? We walked to another stairwell where mum knew how many flights of stairs would get us to ground floor.